I can. I care. I count. These three statements frame my expectations for the educational experience at Point Vicente for students and for staff. I can. 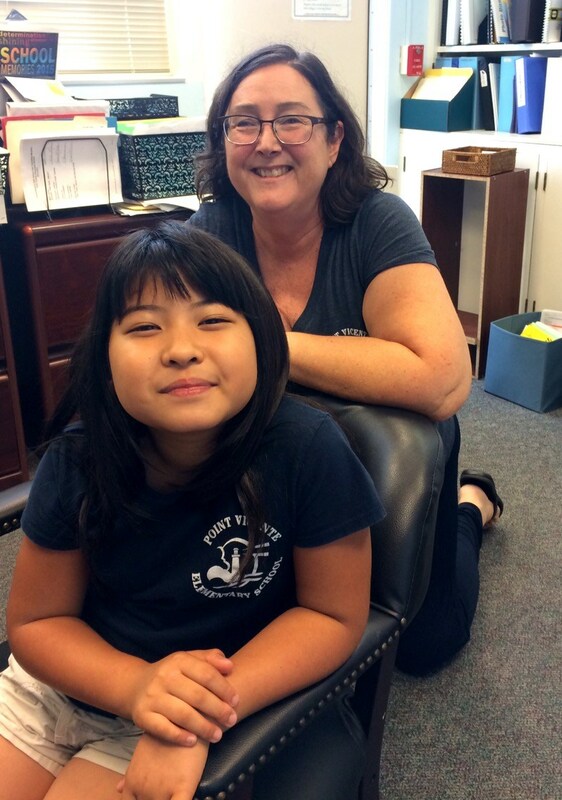 Students at Point Vicente are capable of meeting rigorous educational challenges. Students build skills and develop talents. Early experiences confirming capability help develop confidence. The excellent teachers at Point Vicente weave a web of activities, lessons, instruction and opportunities to make connections all designed to promote learning. Students and staff approach tasks with confidence in their skills and their capabilities. I care. Point Vicente is a kind school. We care about each other, and we care about how we treat each other. We build strong relationships and nurture them. We celebrate the Six Pillars of Good Character, and we have incorporated them into our school structure. Focusing on Trustworthiness, Respect, Responsibility, Fairness, Caring, and Citizenship help us reinforce behaviors that make Point Vicente an environment where personal growth is purposeful and celebrated. We care about the work we do. Students care about producing work they are proud of. For teachers, nothing is more important than their investment in the growth of their students. We are emotionally invested in each other, in our school, and in our children. I count. Point Vicente is a place where people are important. We honor and appreciate parent voices and parent participation. Teachers and staff members are respected and valued. Students know that they matter, that their struggles and celebrations are important to us. We know it is worth taking the time to hear and understand each other. We know it is worth doing a challenging task because our efforts make a difference. Each person understands that their contribution, their effort, their achievement has importance and value. Every day, I feel fortunate to come to work at Point Vicente. I welcome you to be a part of this great group – and I am hopeful you will feel the same way. I need to hear from you about your Point Vicente experience. Please include me in your challenges and your successes. Your perspective is important to me!